What’s shining at the 2016 NY International Auto Show? We take a look at nine of the top models. The New York International Auto Show (NYIAS) was founded in 1900 and is one of the largest and most exceptional expos of its kind in North America, indeed in the entire world. Always held near Easter, the NYIAS presents numerous new and concept vehicles. For the 30th consecutive year the 2016 NYIAS will be presented at the Jacob Javits Center in Manhattan, where visitors will find the brightest stars from manufacturers the world over. 2017 Jaguar F-TYPE SVR Convertible. All right, the Jaguar F-TYPE SVR has already made its global debut, taking a bow at the Geneva Motor Show earlier this month. The New York unveil will only underscore what we already know about Jaguar’s fastest model to date. Definitely, it is worth reviewing some of the more meaningful details. The big news about the all-wheel drive F-TYPE SVR is its speed. Specifically, this model is slated to go from 0-to-60 mph in just 3.5 seconds thanks to its marvelous 5.0-liter, supercharged V-8 engine. The hot cat’s engine makes 575 horsepower and 516 foot-pounds of torque and comes paired with an 8-speed Quickshift transmission. 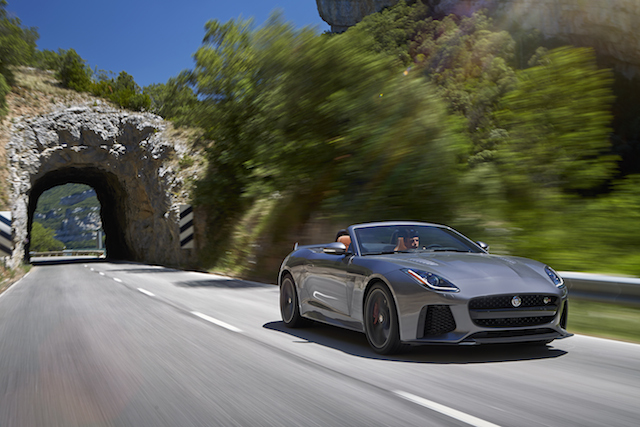 To reach its optimum performance rating, Jaguar shaved the SVR’s weight by 55 pounds over the F-TYPE R. Further, enhancements such as enlarged air intakes on the front bumper, combined with revised charge air coolers and revamped hood vents have been incorporated. Other modifications extend to the exhaust system, wider tires, and refinements to the rear electronic active differential. In all, the SVR will set you back by $125,950 for the coupe and $128,800 for the convertible. Do you remember the Volkswagen Jetta SportWagen? For 2016, Volkswagen shuffled its model line up, sending the compact SportWagen to its subcompact Golf line. Oddly, the latest portrayal is slightly larger than the outgoing model. Go figure. A new addition to the Golf family arrives in autumn when the Golf Alltrack debuts. Based on the SportWagen’s architecture, the Alltrack brings in all-wheel drive, essentially giving Volkswagen a subcompact SUV in the market. In addition to the Alltrack, models in this segment include the Honda HR-V, Nissan Juke, Mazda CX-3 and the Chevrolet Trax. 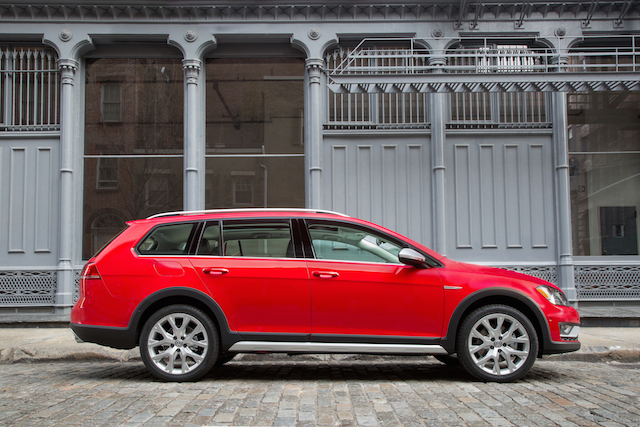 The Alltrack is powered by a 170-horsepower four-cylinder gasoline engine making 199 foot-pounds of torque. Customers will have a choice of a standard six-speed manual gearbox or the available six-speed dual-clutch automatic transmission. The Haldex-supplied all-wheel drive system shifts up to 50 percent of the engine’s torque to the rear wheels. Importantly, with an inch higher road clearance than the SportWagen, the Volkswagen Golf Alltrack is designed to handle light-duty off roading with ease. If the Camaro SS isn’t enough for you, then the 2017 Chevrolet Camaro ZL1 is worth a look. Just as the SS mimics the standard Corvette Stingray in power, the 2017 Camaro ZL1 parallels the Corvette Z06, by offering a 6.2-liter, supercharged V-8 engine making 640 horsepower and 640 foot-pounds of torque. 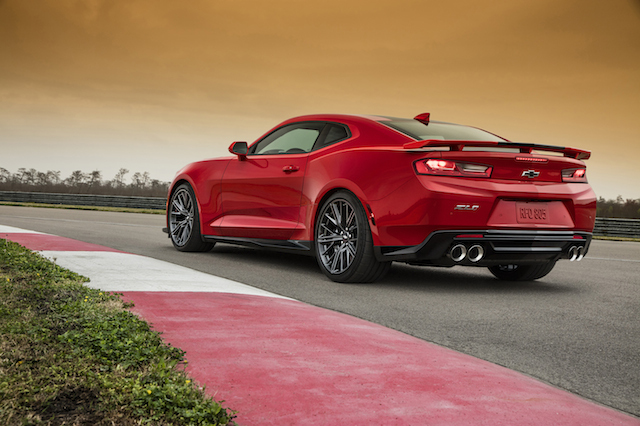 That figure betters the previous ZL1’s performance, what came in at 580 horsepower and 556 foot-pounds of torque. The standard transmission is a 6-speed rev-match manual gearbox. Also available is an all-new 10-speed automatic transmission. The top-end Camaro will be the first of eight GM products to get the new-fangled slush box. The 2017 Camaro ZL1 will ride on 20-inch forged alloy wheels set within Goodyear Eagle F1 Supercar tires composed of a special composite made just for the Camaro. Brembo six-piston calipers with two-piece rotors, a specially-tuned version of GM’s famous Magnetic Ride Control dampers, an electronic limited-slip differential, and a track-focused performance traction management system are among the other highlights of this model. How do you prepare an encore for the Mazda Miata MX-5? You do so very carefully. Certainly, plaudits are due for a roadster that has long captured the hearts of people around the world. 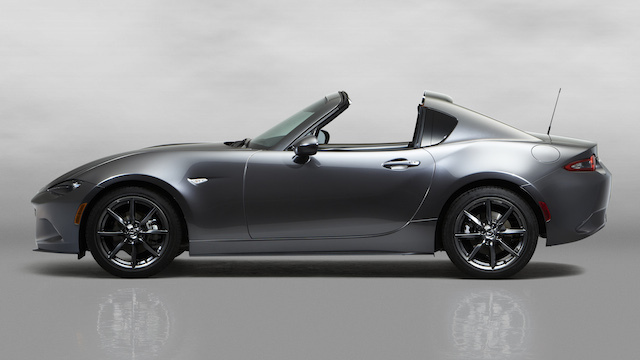 The follow up is another heart pounder, an MX-5 RF or “retractable fastback” model featuring a foldable, hard-top roof. The newest Miata advances fastback styling with a smooth, sloping roofline. The multi-part roof opens and closes at the push of a button and does so while moving, although at speeds up to 6.2 mph. When the roof is down, it neatly folds into the trunk of the coupe. What’s left is a beautiful targa-style expression, unlike anything else in this category. Colors are very important to the new model and were added in an effort to highlight the coupe’s sleek design. For example, the pictured Machine Grey patina accentuates the composition, serving as a full-toned element of the body’s form. In this case, Mazda made use of a high-quality finish incorporating a three-coat paint order composed of color, reflective and clear coats. Godzilla is getting a refresh. And most critics will say, “its about time.” Indeed, although Nissan’s six-figure sports car has had constant tweaks since its 2009 debut, a more comprehensive metamorphosis hasn’t happened. Until now. The latest update is designed to keep Nissan GT-R faithful engaged until 2018 when the next-generation (R36) model arrives. That vehicle is rumored to have a hybrid powertrain — no worries, the supposed “greening of Godzilla” won’t come at the expense of performance. For 2017, the changes are represented by a nip here and a tuck there, with a modified v-motion grille present to enhance engine cooling. A new hood with pronounced character lines and four new patinas are available. Inside, new Nappa leather, paddle shifters mounted on the steering wheel, and 8-inch capacitive touch screen are included. 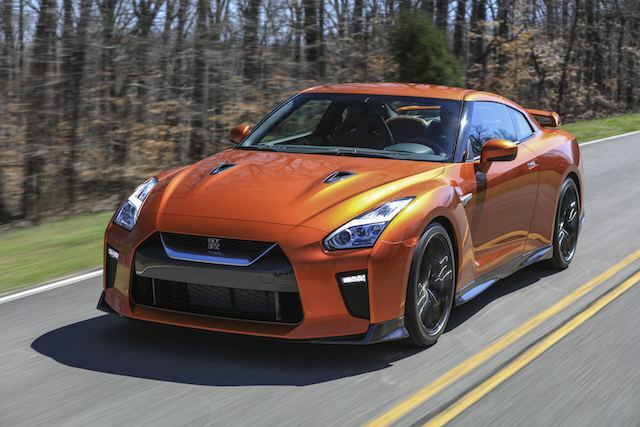 The latest model now makes 565 horsepower and benefits from a titanium exhaust system. A greater use of sound deadening materials is also employed. Some may think it is a bit ironic that the Hyundai Ioniq is making its debut at the New York International Auto Show. After all, it is the Los Angeles Auto Show that has been deemed by some as the most green-friendly of them all. Let’s just say that the Ioniq wasn’t all set for its North American debut before the NY show, but unquestionably it is ready now. 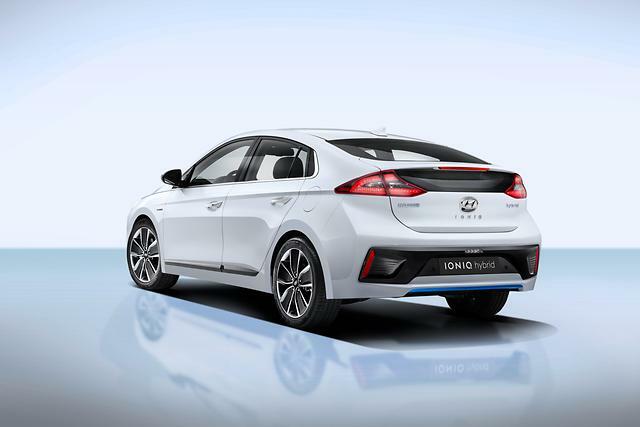 Ioniq is to Hyundai what the Prius is to Toyota. That means this emerging line of standard and plug-in-hybrid electric vehicles should elevate Hyundai into the upper stratosphere of all things electrified vehicle. The new model will make its North American debut this fall. When it is officially certified by the EPA, it is expected to deliver upwards of a combined 56 mpg, easily beating the Prius. Furthermore, a third variant, an electric-only model, is expected to deliver 110 miles of range, three miles longer the Nissan Leaf. In 2015, Subaru separated its WRX line from Impreza, although that decoupling was accomplished in naming conventions mostly. For 2017, the chasm between the two widens as the next-generation Impreza inaugurates Subaru’s all-new modular architecture set to underpin new Outback, Forester and Crosstrek models. Indeed, the next-generation WRX will eventually share this platform. 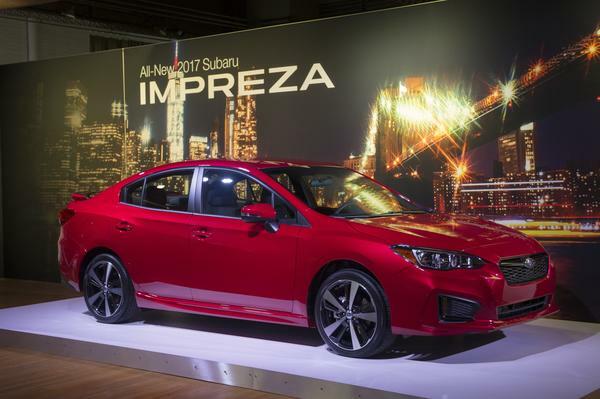 Introduced in 1993, the 2017 Subaru Impreza marks the fifth generation for this compact sedan, a model that competes against the likes of the Ford Focus, Toyota Corolla, Nissan Sentra, Honda Civic, and the Chevrolet Cruze. The latest model comes in sedan and hatchback body styles, the latter very uncommon to the segment. The fifth-generation Subaru Impreza comes in slightly longer and wider than the outgoing model, offering a roomier interior and improved visibility. All-wheel drive is standard and a 2.0-liter, BOXER four-cylinder engine now makes 152 horsepower and comes paired with a continuously variable transmission. New driver-assist technologies, including reverse automatic braking is available. All models are equipped with a rear vision camera. 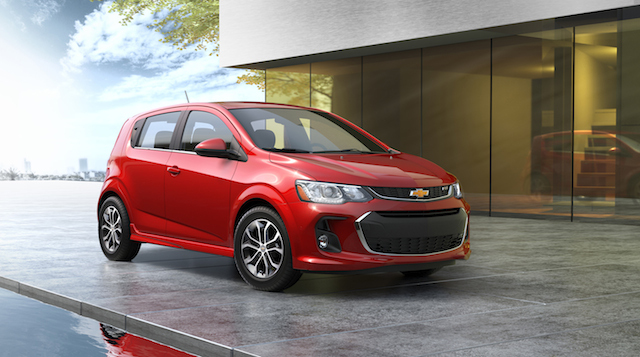 Introduced in 2012, the Chevrolet Sonic gets a refresh for 2017. An all-new model will have to wait a few more years as car buyers are currently looking at SUVs in greater numbers and much less so at small cars. Nonetheless, an update is in order and a freshened model is now on display in New York. As before, the Sonic is sold in sedan and hatchback body styles. For 2017, this model receives fresh grille, new LED signature lighting, along with available LED daytime running lights. New wheel designs and four new exterior colors highlight the exterior changes. Inside, the changes include the segment’s first available power driver’s seat. Other new features include keyless open and start, available heated cloth seats with a new heated steering wheel, and an all-new 7-inch infotainment system display. Apple CarPlay and Android Auto come to the 2017 Sonic; also available is 4G LTE with a WiFi hotspot. Toyota launched the three-row crossover SUV segment in 2001 when it introduced the Highlander. Offering room for eight, the Highlander is a logical alternative to the similar-sized Toyota Sienna minivan. The third-generation Toyota Highlander was released in 2014, thus the latest update represents a mid product cycle update. This means it will be a few more years before we see the next generation model, therefore a refreshed motif will hold sway until then. 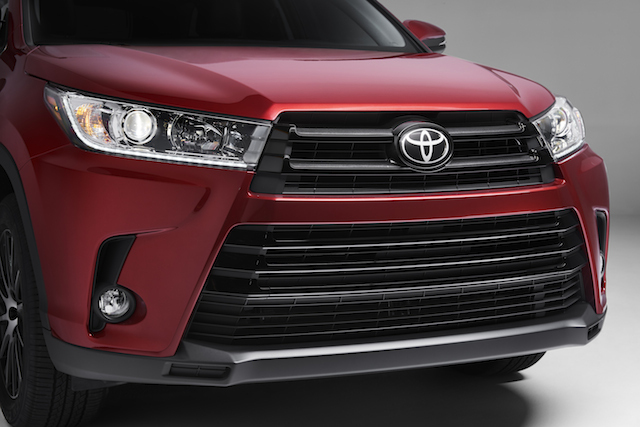 Tweaks to the front and rear fascia are evident, including new upper and lower grille finishes. Also new for 2017 is an SE edition, the sportiest Highlander model yet. Dark black fascia highlights, a sport-tuned suspension, and a record five USB ports across the model line are among the chief changes. However, the biggest change is found in the transmission as an eight-speed automatic replaces the previous six-speed, effectively improving fuel economy for this best-selling SUV. Other models to examine in New York include the Toyota Prius Prime, a roomier take on the current Prius PHEV. The latest hybrid model advances Mirai styling cues and has an electric-only range of 22 miles. The Lincoln Navigator concept looks like a good bet for the next generation of this beefy, luxury SUV. However, the model on display has gull-wing doors and those won’t go into production. What we can expect is the twin-turbo V-6 engine powering the upcoming Continental and a raft of features to advance this model’s “quiet luxury” approach to the market. Further, give Audi props for a thoroughly delicious R8 Spyder, to Kia for refreshing its Cadenza sedan, and to Mercedes-Benz for the plunging design pattern dressing the 2017 GLC Coupe. All three models will enhance their respective brands, bringing a fresh touch to the industry. To sum up, the 2016 New York International Auto Show offers something for everyone. This year’s show runs from March 25 to April 3, 2016, and includes special events each day. Indeed, those events and special displays range from a Teenage Mutant Ninja Turtles 2 Truck to Camp Jeep and beyond, with the streets of Manhattan beckoning from without and offering a variety of additional enticements for visitors. Photos copyright the respective car manufacturer. All rights reserved.